The Mississippi Gamma chapter of Alpha Epsilon Delta (AED) at Mississippi State University is a nationally recognized honor society in all health professional fields. We strive to encourage excellence in scholarship, to stimulate an appreciation of the importance of education in the study of all health professions, and to bind together similarly interested students. We welcome all pre-health majors, including those pursuing careers in Dentistry, Medicine, Nursing, Occupational Therapy, Optometry, Pharmacy, Physical Therapy, and Veterinary Medicine. Our chapter is actively involved in numerous volunteer projects on the MSU campus and the Starkville community. Our current goal is to unite all pre-professional majors under one entity. We are seeking active members who are willing to share ideas that will impact the lives of others. Alpha Gamma Rho is the only professional and social fraternity at Mississippi State University. Our roots are in agriculture- food, fiber and life sciences, however we do limit ourselves just to that. All majors are welcome. We strive to encourage bonds of friendship and brotherhood in combination with teaching excellent work ethic so that all our brothers have both an exciting college life and a successful work-life. We encourage you to contact us if you would like to know more! Connect with us on social media as well! The Biochemistry and Molecular Biology Club of Mississippi State University aims to provide opportunities for all students (majors and non-majors) interested in biochemistry and molecular biology to interact with faculty and other experts on both a social and professional basis. Regular meetings are held every two weeks with an informal program consisting of presentations and discussions in research, pre-professional and business topics. Field trips to institutions focusing on frontiers in development and applications of biochemistry and molecular biology, and assisting the BCH department in recruiting events and social outings are just some of the BCH club’s activities. The CALS Ambassadors are a select group of students representing all departments within the college. Some examples of activities that Ambassadors participate in include the CALS Alumni Breakfast, on campus recruiting events, and CALS day. MANNRS promotes the inclusion of ethnic and cultural groups that are under-represented in agricultural and natural resources and related fields in all phases of career preparation and participation. 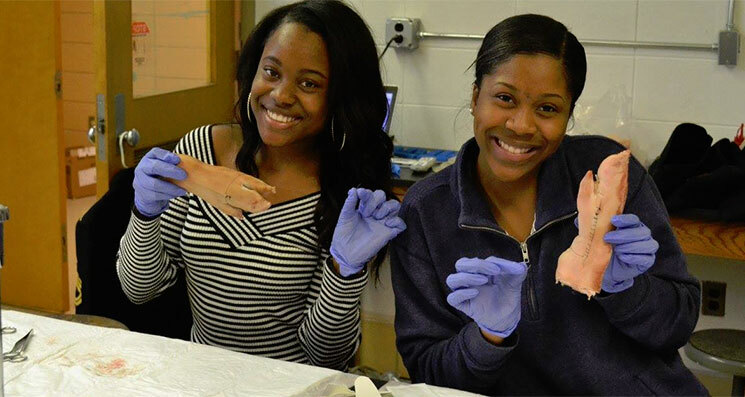 The MSU Pre-Veterinary Club is an organization committed to presenting pre-veterinary students the opportunity to learn more about the diverse field of veterinary medicine. The MSU Pre-Vet Club allows the members to interact with professors, veterinary medical professionals, veterinary students, and meet other pre-veterinary students. This club also keeps students informed of curriculum changes, promoting development of high ideals and professionalism among pre-vet students, and to promote fellowship among pre-vet students and faculty.